A great weekend at a great circuit. Despite a damp/wet start to Sunday morning, the initial slow quali, was improved by 9 seconds a lap in the second morning quali and a top 10 start position on grid, behind 6 Caterhams in an allcomers race. Race 2. The weekend was however a great lesson in how simple errors in racing cost big in results. So watching the start lights turn on then off red, for some bizarre reason I was waiting them turning green whilst the rest of the field set off! Not a surprise then I was last into turn 1 but with a dry track and confidence growing I gained place after place hovering around P10 for a while, the pitstop was good but after the flag we established I had been called in to late and I had missed it so got a 2 lap penalty and was back to where I had started. A crew beratement and even a challenge to the organisers left the result standing with penalties imposed. Second race I shot into T1 and gained two places and was on form, pressure behind gradually fell away as I increased by gap behind 2 other saloon cars and the Caterhams. I had an off onto the grass as my confidence increased a bit too much and I ran out wide at turn1 without braking first and had a big off to the grass for about 100m but recovered it without dropping a place, so far then so good. I then failed myself to notice the pit board hung out numerous times and completely missed my pitstop, picking up further penalties and a rubbish finish place as a consequence when it should have been overall P8, possibly P7 if our pit stop had been good. So a 1-1 away draw between driver and pit crew this weekend on the subject of our stops and better focus planned for Donington on 30th August as a result. Lesson learned. 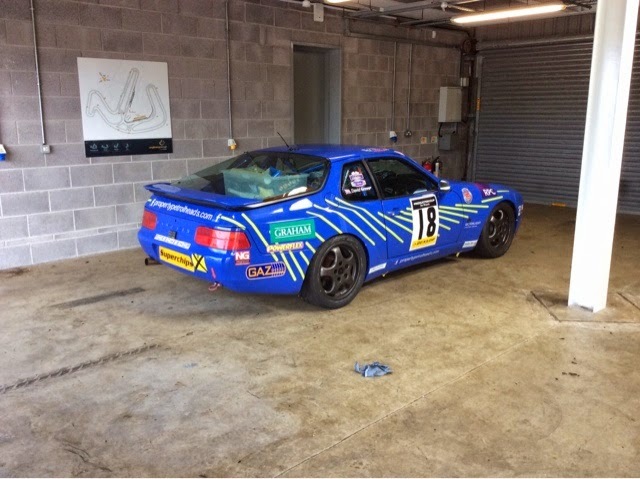 The car sounded great with its new exhaust and remap, the re-gassed suspension performed well and 1:22:55 lap times on the coastal circuit on Dunlop track tyres wasn't a bad first time out lap time. That is just the same as Jason Plato driving a new road Evo 10 with 4wd. We live to fight another day with an intact race car. 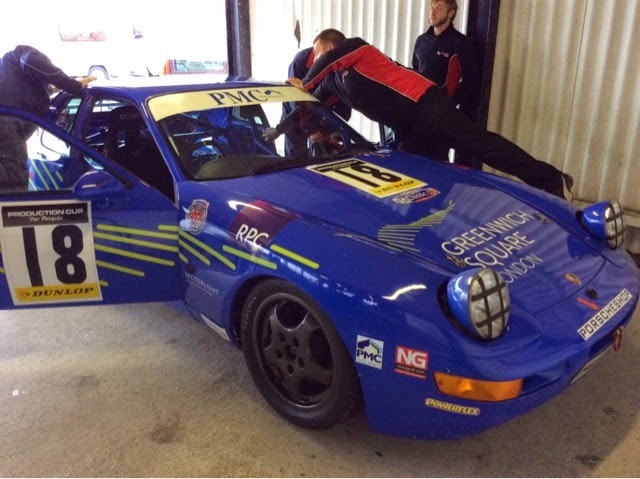 The after shot and the scrutineering one.....the car is the same!